2. 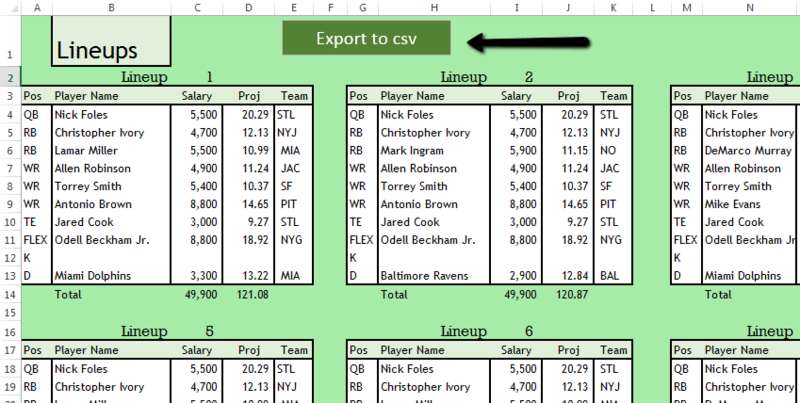 Press the Export to csv file. It will generate a csv and save as something like book1.csv. If there is a blank column, then delete it. 5. 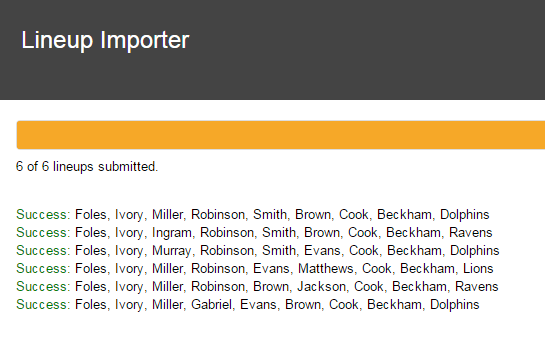 Click on Import Lineups. You will get the screen below. Click on the game you time and sport you want on the left. 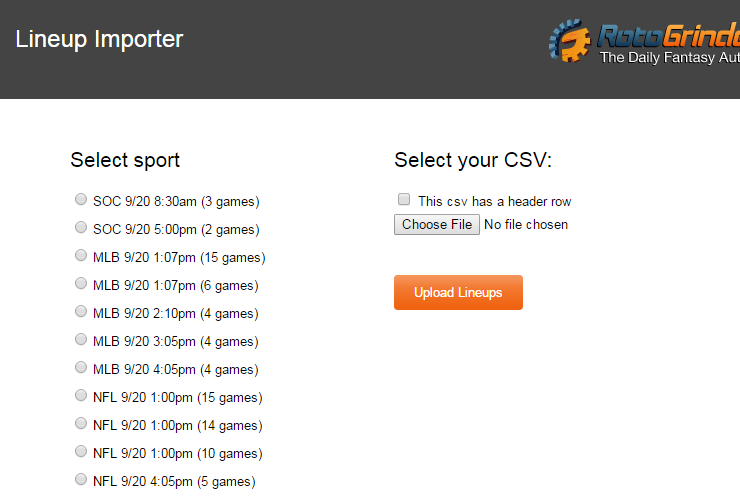 Then on the right upload the csv file. Note: sometimes error messages may show up like below when a name doesnt exactly match. But it will give you choices and you just need to pick the choice of the guy. See below. 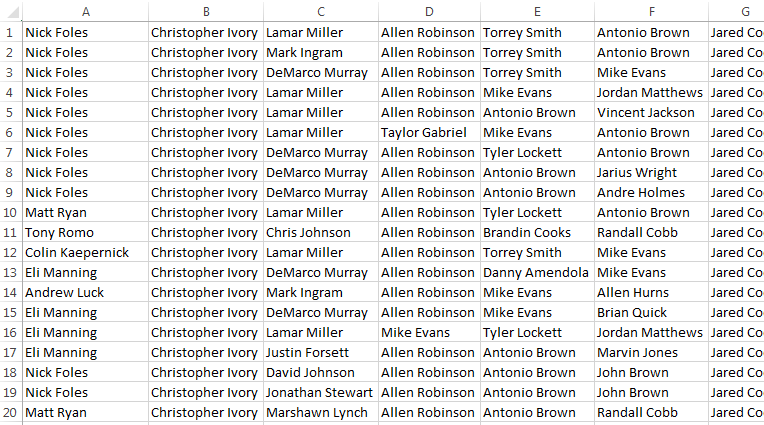 Draftkings doesn’t recognize Christopher Ivory, but below it asks if you want to use Chris Ivory. Just click that you do. 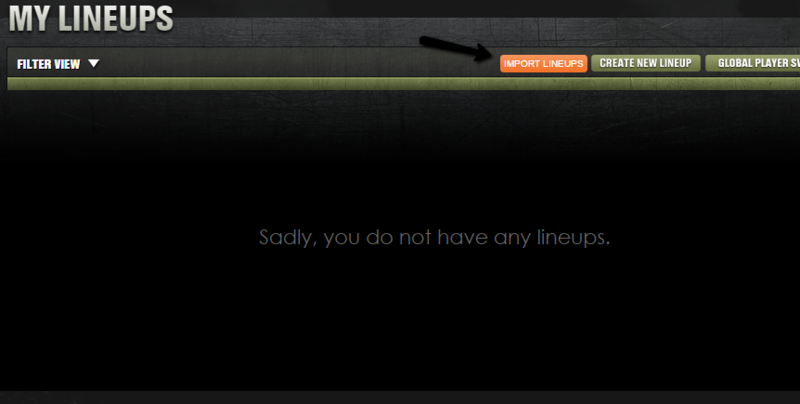 Once you get that, you will have those lineups in your My Lineups tab. Now just find contests in the Lobby and choose those lineups. to play!